This image is taken at vandalur zoo, chennai. The chart shows the speed comparison between the animals. 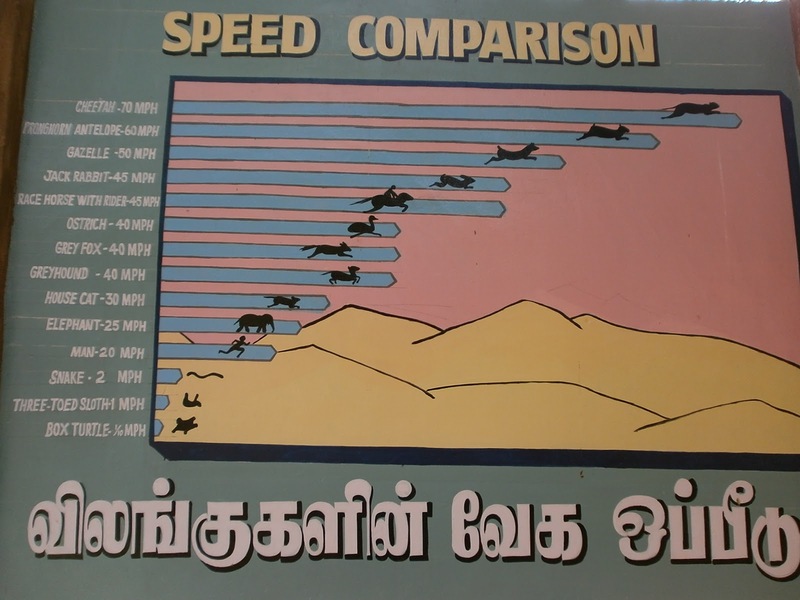 In this chart we can able to know the running speed of the animal and their level of speeds.